All BROOKSIDE VILLAGE UNIT TW homes currently listed for sale in Peoria as of 04/23/2019 are shown below. You can change the search criteria at any time by pressing the 'Change Search' button below. 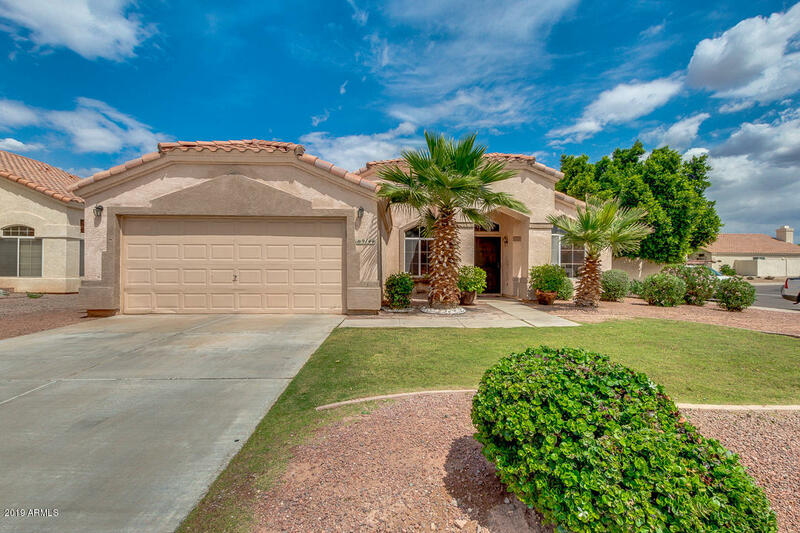 "Great opportunity to own a well maintained 4 bedroom, 2 bath property For Sale in Peoria! Beautifully landscaped corner lot with mature palms, 2 car garage, vaulted ceilings, custom tile and laminate flooring throughout. The luxurious kitchen is equipped with ample cabinetry, a pantry, granite countertops, matching stainless steel appliances, gas range, recessed lighting, and a charming breakfast bar. Also featuring a stunning master bedroom which include a full bath with double sinks, and a lov"